On July 21, Russian warplanes and helicopter gunships intensified in northern Latakia, responding to the recent militant gains in the area. The joint force of Al Nusra, Jaysh Al-Fateh, the Free Syrian Army and the Turkmen Islamic Party had seized the strategic town of Kinsibba and the nearby villages of Shalaf, Ballah and Ruwaysat Shakara. Various sources say that the Russian Aerospace Forces already made up to 30 air strikes, targeting militant manpower and military equipment. A convoy of vehicles armed with machine guns was destroyed by Syria’s aircraft near the city of Salamiyah in the province of Hama on July 20. Over 100 ISIS militants were killed. ISIS positions in Raqqah and Deir ez-Zor provinces were also targeted by the Syrian Air Force. The Syrian army successfully repelled all jihadist attempts to re-open the strategic Castello Road, heading to the jihadi-controlled areas of Aleppo city. According to reports, the joint force of Al-Nusra, Harakat Nouriddeen Al-Zinki and Ahrar Al-Sham recently lost about 30 fighters, 7 armored vehicles, 4 battle tanks and 3 BMPs. The Syrian army’s Tiger Forces also captured a 20-strong jihadi unit near the Mallah Farms. Unconfirmed reports argue that the jihadi forces stopped their operations in the area of Mallah Farms for “technical and military reasons.” If reports were true, the government forces won this round of the battle for Aleppo. Nonetheless, lots of heavy clashes are expected in the nearest future. Pro-government forces are conducting military operations in the strategic town of Darayya near Damascus. 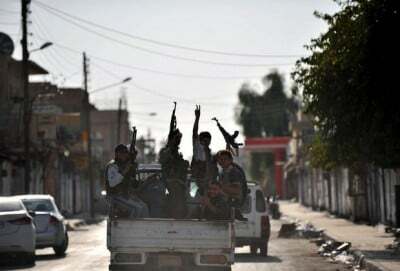 They advanced on Ajnad Al-Sham’s defenses in the Association Quarter and seized few building blocks in the area. Clashes are ongoing. Recently, pro-government forces had captured the whole farms near the town and tightened the siege of militant stronghold.